“Milk is for babies! When you grow up you have to drink beer.” So declares Arnold Schwarzenegger in the 1977 film, “Pumping Iron,” (Seriously, it’s a classic. If you haven’t seen it, add it to your Netflix.) But the decision of whether to drink milk or beer now seems as anachronistic as Lou Ferrigno. The craft beer boom has injected new life into the milk stout, an English classic that withered with the advent of World War II and the milk rationing that followed. Milk stouts, trendy as they may be, are definitely here to stay. Also called “sweet stouts,” milk stouts are marked by the addition of lactose, a sugar naturally found in dairy, which lends a soft, creamy sweetness. In honor of February Stout Month, Peaks and pints presents a flight of milk stouts that we call Craft Beer Crosscut February Stout Month: A Flight of Milk. Without going into the chemical physics of solubility and gas diffusion, let’s just say that nitrogen has a silky effect on beer. Nitrogenized brews, as opposed to carbonated ones, have a softer mouthfeel, taste less acidic and boast a creamier, more stable head. 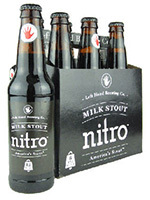 Left Hand Brewing’s Milk Stout was no bore before, and on nitro, it’s even better. Cocoa and burnt flavors from its dark roasted grains come forward first, followed by a wave of sweet cream thanks to the use of lactose sugar. Magnum hops help give the 6 percent-alcohol brew a bitter finish that entices the next sip. Throughout, the beer’s ultra-smooth texture inches it closer to chocolate milk than you thought a beer could get. Meet the sultry sister of Left Hand Brewing’s Milk Stout — Raspberry Milk Stout. The Longmont, Colorado brewery took chocolate malt and kissed it with raspberries, still allowing for roasted coffee notes to shine through. The raspberries hit the nose hard, but back off on the flavor adding a bit of tartness up front before it ends with a smooth stout finish. 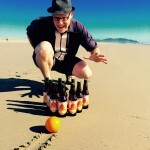 Belching Beaver Brewery is based in Vista, California, just north of San Diego). The owners, Tom Vogel, and Dave Mobley, were friends who enjoyed homebrewing, with a common goal of opening a brewery. Belching Beaver’s top-selling beer, Peanut Butter Milk Stout, is a damn delight with its lactose-heavy milk-stout base combining with sweet, luscious peanut butter and hazelnut coffee creamer for a character like a peanut butter milkshake. The brewery’s Peanut Butter Latte, a golden stout, which means one of the main characteristics of a stout, the roasted malt, is missing. To get the traditional roasted flavors of a stout without the roasted malt, Belching Beaver adds coffee and chocolate to give the illusion of roasted grains. The taste pops with berrylike coffee and peanut butter before a clean apples-and-crackers finish. The milk stout, also known as an English sweet stout, emphasizes a malty sweetness with hints of chocolate and caramel. 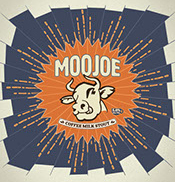 Some versions, like Paradise Creek Brewing’s MooJoe, add lactose for more body and softness. The Pullman, Washington brewery takes its beer one step further by cold conditioning it with fresh ground coffee from Bucer’s Coffee House across the border in Moscow, Idaho. The result is a smooth, light stout with coffee and chocolate notes and slightly bitter on the end. Dreamt up by Matchless Brewing’s former sales executive Ken Sorenson, this breakfast milk stout is made with a roast from Matchless’ other friend, Herkimer Coffee in Seattle. 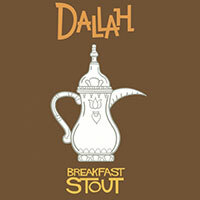 A stretch for a breakfast stout, this big bodied, milk stout was inspired by the coffee of the Gulf region and Arabian Peninsula. Although there’s no bourbon, the Tumwater brewery spiced it with cardamom for a touch of warmth for a cold February, just as traditionally done with coffee in the region. Taste is sweet, espresso-like coffee with cream and light vanilla.